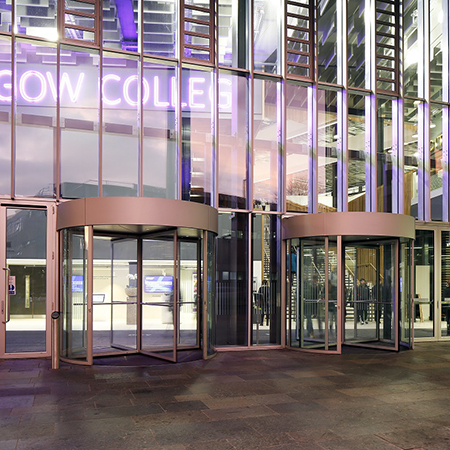 GEZE products were specified to create entrances for City of Glasgow College. The technical and professional skills college, which has been created on two sites, one either side of the River Clyde – City Campus and Riverside – has been called a ‘college of the future’. It aims to prepare students for the world of work with industry standard and state-of-the art facilities. 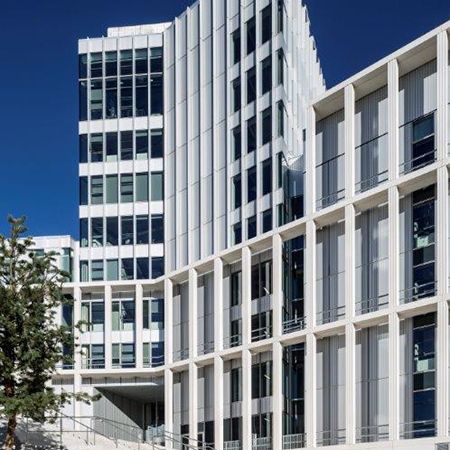 Contractor Sir Robert McAlpine, chose GEZE products to create the entrances to match that at City Campus. 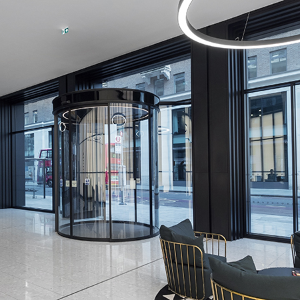 The west and south elevations have a similar aesthetic with imposing glass and steel framed facades into which manual revolving doors have been installed along with automated swing doors to one side. The college has been built to accommodate 40,000 students and 1300 staff, so functionality was key to ensure a steady flow of traffic across the threshold. The TSA 325 NT manual revolving doors from GEZE are spacious yet easy to operate. They include a control system which ensures that those using the door cannot be forced to speed up by someone entering the door behind them. 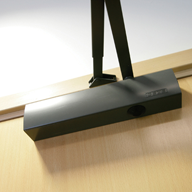 The TSA 325 NT also provides an effective draught-free lobby, keeping noise, dirt and dust out of the building. 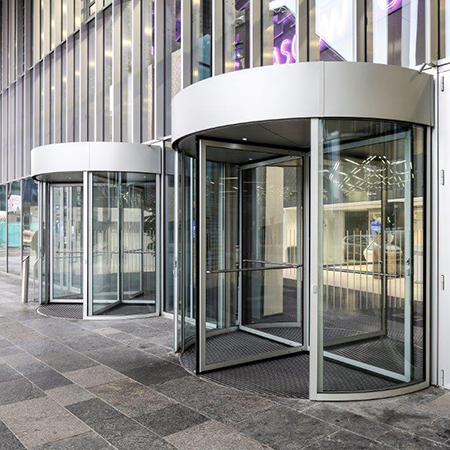 The Slimdrive EMD-F electro-mechanical swing doors fitted next to the revolving doors are extremely versatile. They provide easy access for those with mobility issues as assisted opening can be initiated using the operating button with guaranteed constant opening and closing speed. At just 7cm high, the Slimdrive EMD-F operator is extremely discreet and sits neatly on the frame. It is a low-wear, hi-performance system which is exceptionally quiet in operation. At Riverside, the campus incorporates a Slimdrive SL NT single sliding automatic door on the entrance to a 198-bed student accommodation block which is home to more than 3,000 marine and engineering students. With an operator height of just 7cm the Slimdrive SL NT is almost invisible and can move leaf weights of up to 125kg, making it ideal for public buildings with high levels of footfall and a continuous flow of people moving in various directions. Being virtually silent in operation, it was an ideal choice for a building with lots of activity which must also lend itself to residential requirements. The accommodation provides a safe, secure, and welcoming environment for all students who stay there.